Over the years Rennie Design has been involved with a variety of Private Garden Design projects in the UK from inception to completion. Rennie Design offers a full design package, which can later be priced by a selection of approved local contractors. Designs can be modern & contemporary or stylised to suit your requirements and may include, paving, decking, fencing, walls, steps, planters, planting, lawns, waterfeatures and lighting. The Garden can be a place for relaxation and tranquillity or for play and excitement and should be designed to a level, which offers you the optimum use of your outdoor space that can be managed and maintained effectively. The project process begins with an initial onsite consultation at the property before the production of sketch designs and cost estimates helping achieve an affordable design solution that meets the client’s requirements and taste. 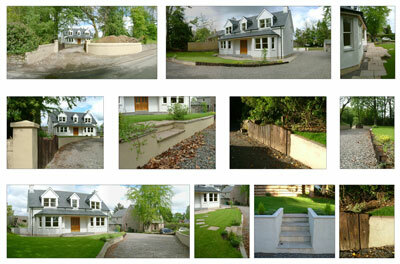 Please do not hesitate to contact Rennie Design to see how we can help you develop your personal outdoor space.